Where did Scientific Management have its roots? 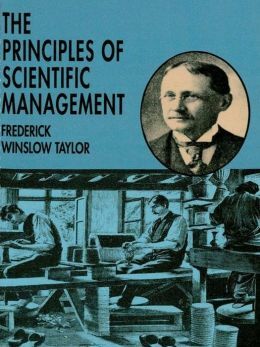 Most people who recognise the term Scientific Management will associate it with Frederick “Speedy” Taylor and its application in the manufacturing industries in the 1880s and 1890s. However research by historian Caitlin Rosenthal into slavery plantation records from the USA and the West Indies between 1750 and 1860 showed that plantation owners were already applying management techniques before the industrial North. They used accounting techniques such as depreciation, and standardised efficiency measures relating to both the land and the slaves. As scientific management requires high levels of management control over employee work practices its not surprising that plantation conditions were conducive to such an approach. There was no labour turnover as slaves couldn’t quit; and plantation owners re-allocated their labour supply as they saw fit. Thomas Affleck, a Scot, had studied agriculture at the University of Edinburgh before moving to America, getting married and operating several plantations in the South. His Cotton Plantation Record and Account Book and Sugar Plantation Record and Account Book, became models for other plantation owners. (Click here for further information on these books). In them he described how to calculate depreciation (which experts previously thought came with the building of the railroads in the late 19c). Slave-owners also developed a measure called the “prime field hand” . Prime field hands were assigned certain capabilities such as expected daily output. Workers were measured against this standard and given values such as “half or quarter hand“. These were used as benchmarks to compare productivity. There may be indirect links between slavery and the Industrial Revolution, and between the plantations and the early cotton mills to which they were tied. Rosenthal says that one of Taylor’s associates, Henry Gantt, who had worked at Midvale steel, was born on a plantation although there is no evidence he was involved in its management. The brutal exploitation of people who were slaves was an extreme example of employers treating people as human capital with often absentee owners relying on the metrics to manage their investments. It seems historians have known about the ledgers and account books from which Rosenthal drew her conclusions for a long time but this has never emerged in the management literature. Perhaps people were too ashamed to draw attention to it. This seems so long ago now but there is still a school of thought which treats people as human capital which produces economic value. And when it comes to downsizing or mergers or aggressive takeovers do the accountants with their spreadsheets and the HR people with their performance review data think of employees as human beings? Previous PostTriple Strength LeadershipNext PostWomen in Leadership – too nice? Too bossy?